Choosing the right lighting is crucial to the way your home looks and feels. Our lights are all LED to ensure that you are being as energy efficient as possible and are getting the most out of them. All of our lights are easily adjustable to any style of home and are technically advanced too. Our LED smart lights allow for you to use an app to control the brightness and power on/off, all without moving an inch. 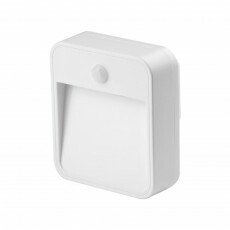 Our nightlights are conveniently motion sensored from a distance of up to 15 metres allowing you time to quickly hide that pile of laundry from anyone entering your home! See how you can transform your home by searching through our unique lighting accessories.